I am a big fan of Canadian interior design duo Sarah Richardson and Tommy Smythe. On their newest HGTV series “Sarah’s Rental Cottage” they found a beautiful white and yellow quilt in an antique shop. I could only catch glimpses of the quilt on the show and never saw the whole thing but this is what I imagine it looked like. 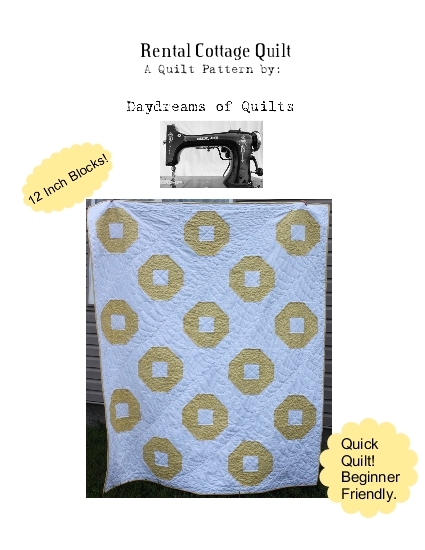 “Rental Cottage Quilt” designed, pieced and quilted by Anita LaHay of Daydreams of Quilts. I designed a quilt based on the few glimpses I could see of the one of the show. I have written a pattern for the quilt which I am calling “Rental Cottage Quilt.” It is available now in my Payhip, Etsy and Craftsy shops. This quilt is 65″ x 77″ so it is nice as a throw or for a twin bed. 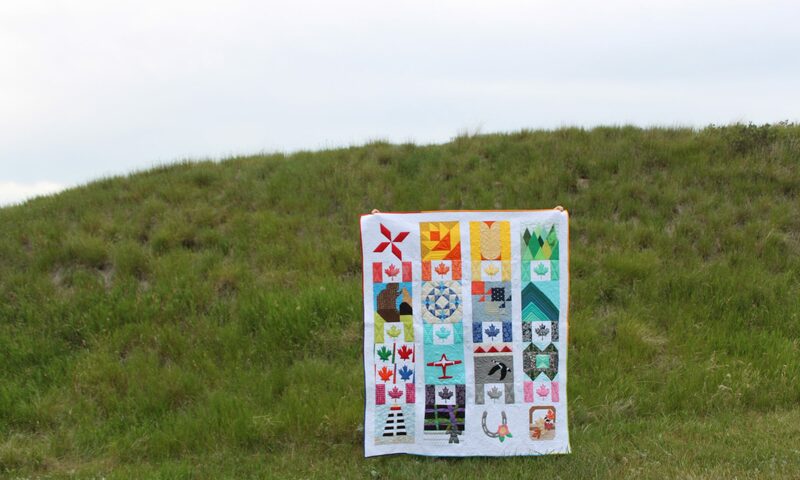 “Rental Cottage Quilt” pattern is now available on Payhip, Craftsy and Etsy. There’s still time to enter my 4 year Blogiversary Giveaways. Click Here. You definitely need to celebrate both a pattern and quilt finish. I love the simplicity of this design. Congrats on the lovely pattern. Beautiful design! You have such talent Anita! Beautiful work! I LOVE an antique yellow and white quilt!! Yours is just lovely!! And with 12" blocks, it will be SO quick!